When I first heard of this synopsis, I really respected the creativity required to come up with this concept. I am a fan of medieval Japan so I was intrigued. However as I was watching the film, it became apparent to me that if the viewer has no background in the idea of the “spiritual realm” as described in the bible, it would have been easy to get lost or not appreciate what this movie was trying to depict. So here is a quick high level explanation of what a viewer should know going into this film. It’s the simple idea that in the end you can only serve one master or one true purpose. The whole story is based on Kane Madison’s struggle with success in his career. There are two notable “masters” competing for Kane Madison’s attention. His wife, Emi Masuda played by Okiko Saito, urges him to go to church and read the bible. So on one side is truth and the seeking of this truth. Kane isn’t really interested and gets quite annoyed at Emi whenever she brings up the subject. On the other end, the other “master” is success and money. Kane is an ambitious man, initially driven by (small spoiler alert) his wife’s sickness and his desire to take care of her, but as he starts to taste success, he slowly gets drawn into the corporate world. Like what we see often in real life, he gets sucked in by the success and starts to value his work and recognition above the more important things in life. So this master isn’t just career, but the money, the recognition, and the comforts that come with it. This is the battle that is depicted in the “spiritual realm” by his samurai-like counterpart. 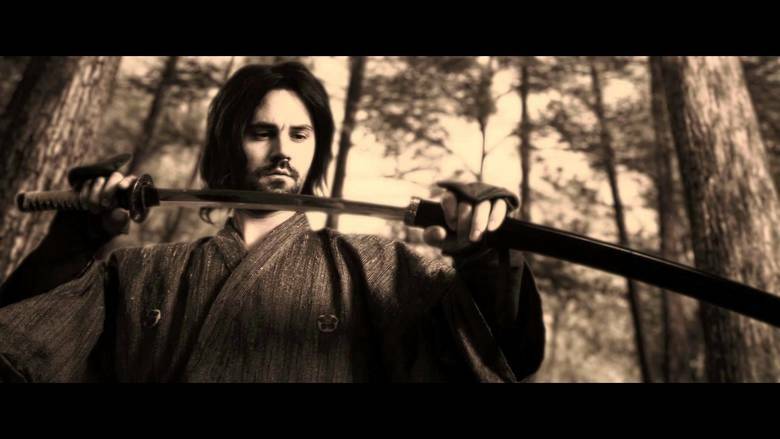 This character is a Ronin, a samurai without a master. He doesn’t have any one in particular to follow and has no true purpose. He is a character that represents his internal battle with money and success. As we see his ups and downs in the real world, we see his counter part struggling along his journey, battling attempts at his life, being seduced by a temptress and dealing with a masked Lord who both wants him to join him as well as want to kill him. He is on a journey to find truth, to find answers but he is often derailed by all sorts of troubles and temptations. It’s an interesting concept to watch as our internal struggle with money, with success, and faith is visually shown through the live action battles of the Ronin. Ephesians 6:12 – For our struggle is not against the flesh and blood, but against the rulers, against the authorities, against the powers of this dark world and against the spiritual forces of evil in the heavenly realms. It’s an interesting film. The acting is good. No Oscar winners here, but no cringe moments either and believe me, many movies have such moments (think Anakin Skywalker). I love the creativity and they did a good job on making the spiritual realm look dreamy and artsy. As I previously stated, I think people who are not familiar with the basis of the spiritual realm needs a bit more information in the beginning to better appreciate what is being attempted here. Though I also understand the difficulty here because for someone who is familiar with the spiritual realm idea, the movie seems to spell things out too much and make it too obvious. It would have been nice to have an “ah-hah!” moment where the person can make the connection themselves rather than making all the links for the viewer. How to balance the two is a difficult question though and would require a lot more thought. I still don’t know what the best solution would have been. Story: The story is pretty basic, but I don’t think the story is really the point here, but it really is the depiction of the spiritual realm which I thought was very interesting. Overall: I think the part of me that loves art and creativity enjoyed watching this piece because it was unique and interesting. What they attempt, I’ve never seen anyone do or perhaps even thought about. The part of me that is into story, acting, scriptwriting thought it wasn’t so great. It’s clearly a B-level movie with a limited budget. I absolutely admire the attempt at something new and different though, just felt it could have been done better. It’s honestly one of those movies that I am glad to have seen, but probably won’t see a second time unless I wanted to share it with someone else who might benefit or enjoy how the spiritual realm was depicted in this two-universe style. Basically I am saying the same thing in many different ways, can you tell? Basically if the concept of a dual spiritual realm depicted in two parallel worlds sounds interesting to you, give it a shot. If it doesn’t, well it’s a free world. All I know is, thanks for reading this review! 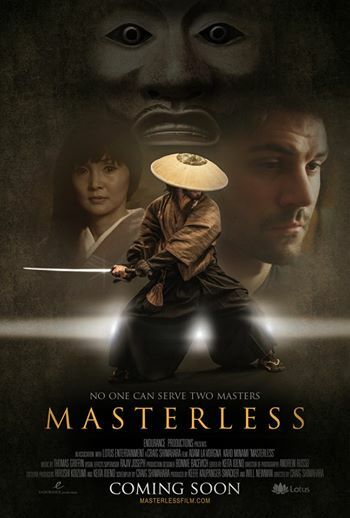 If you have seen Masterless or have thoughts on it? Please add your thoughts or comments below!